What are the current challenges and opportunities for rural housing development? Rural economic development professionals from across the state met to discuss these topics during a recent housing gathering, facilitated by Dakota Resources, in Chamberlain, SD. 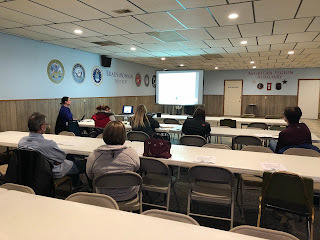 Local participants included Melissa Waldner, Executive Director of Webster Area Development Corporation, and Ericka Aldrich, Board Member for Day County Housing Development. 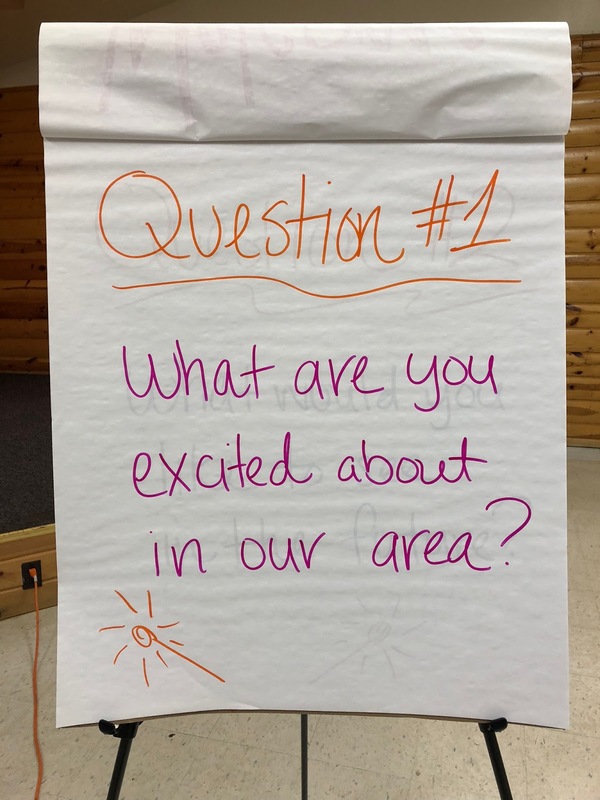 “The housing gathering gave me the opportunity to learn how other communities are pursuing housing solutions, connect with key housing contacts from around the state, and dig deeper into how we can support housing development in Day County,” said Waldner. The group focused on how to make informed decisions for the best type of multi-family housing for an individual community. Participants heard case studies from other community’s housing development experiences. On a bus tour to the town of Kimball, they learned about a home construction program at Kimball High School. South Dakota resource providers were present to give help and advice on individual project questions. Participating providers included South Dakota Housing Development Authority, GROW South Dakota, REED Fund, and Dakota Resources. 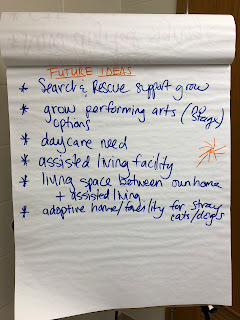 During a “Reverse RFP (Request for Proposal)” process, participants presented one housing project idea for their town. Resource providers offered assistance to help that project move forward. “The reverse request for proposal process was helpful because, so often, we think we need to find the one grant that can make it happen. 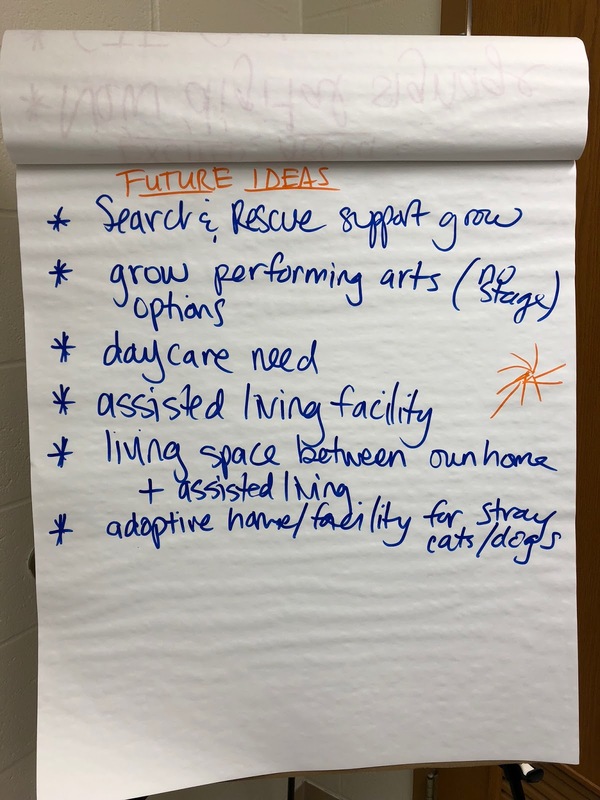 But, it turns out, there are a lot of creative ways to fund a project if it’s the right fit for your community,” said Waldner. One year ago, Webster was awarded Innovative Community of the Year by Dakota Resources. We are grateful for this honor, and for this amazing video McQuillen Creative Group produced as a result! Melissa Waldner, Executive Director of Webster Area Development Corporation and Day County Champion Community pictured with colleagues from South Dakota: Joe Fiala of SD Governor’s Office of Economic Development, Joshua Hofer of Freeman Development Corporation, and Andrew Nilges of North Sioux City Economic Development Corporation. 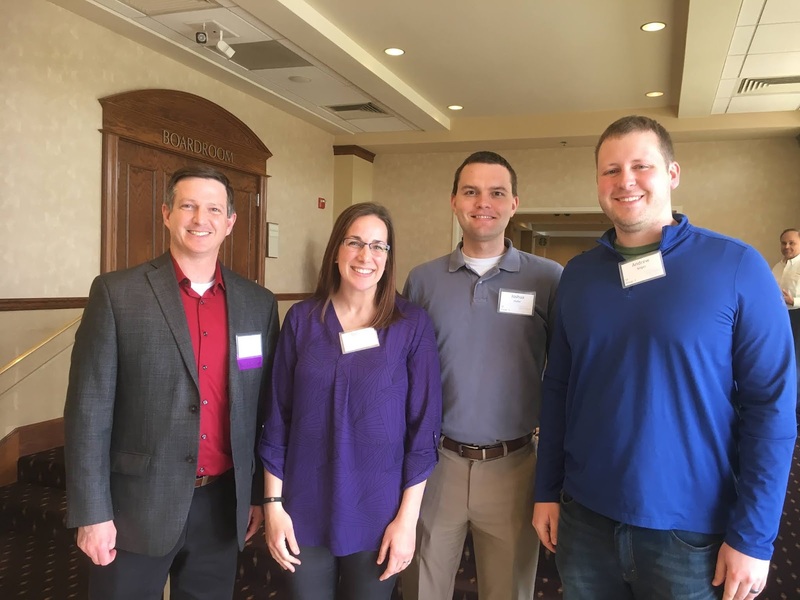 Melissa Waldner of Day County was one of 87 economic development professionals to attend the Heartland Economic Development Course (HEDC) April 23-26, 2018 in Blue Springs, Missouri. 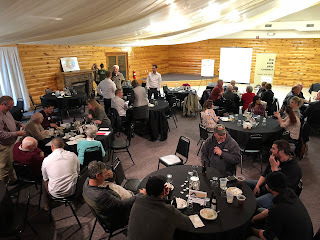 Heartland attendees receive intensive lectures, expert panels, educational tours and small group challenges on topics ranging from business, retention and expansion, workforce development, real estate and entrepreneurship to marketing, finance, ethics and managing and economic development organizations. HEDC is coordinated by the Institute for Decision Making at the University of Northern Iowa and certified by the International Economic Development Council. The 2018 class includes economic developers from Iowa, Kansas, Missouri, Nebraska, Oklahoma and South Dakota, as well as nationally recognized faculty from within the profession of economic development. The Heartland Economic Development Course is a partnership of the Kansas Economic Development Alliance, Professional Developers of Iowa, Missouri Economic Development Council, Nebraska Economic Developers’ Association, South Dakota Governor’s Office of Economic Development, and the Oklahoma Professional Economic Development Association. 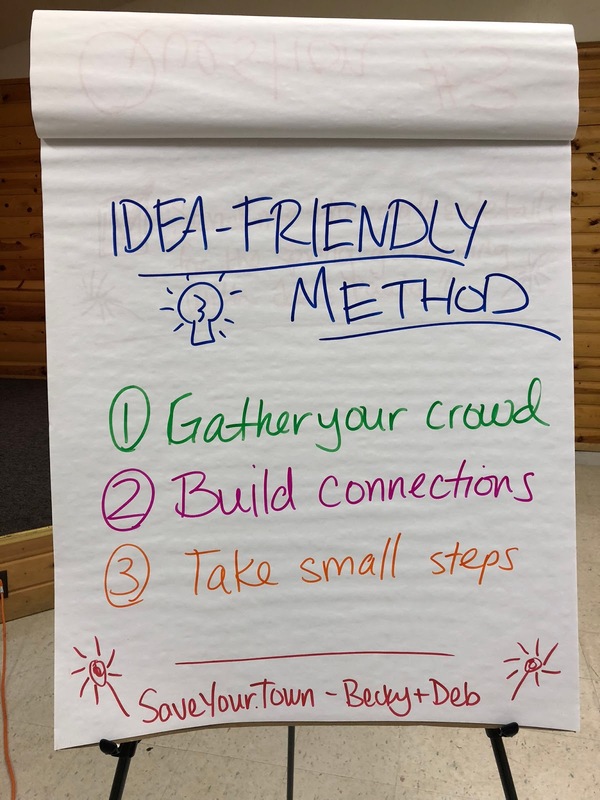 We were glad to see so many friendly faces at the first-ever Sparking Ideas Into Action gathering on April 18! We created an agenda based on ideas, questions, and possibilities that were important to attendees from across Day County and the region. 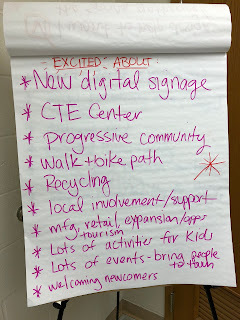 We met in small groups, then came together as a large group to share highlights. You are invited to join us as we dig deeper into these interests. Joe, Paula & Jamie (our community coaches) will be back in 2018 to help teams work through challenges or provide other valuable insight as they move forward. To get connected, or for more general information, contact Melissa at 345-3159 (office), 265-1675 (call/text) or email. Advantage South Dakota recently awarded a $1,500 grant to Webster Area Development Corporation for technology and equipment improvements. “This grant improves Webster Area Development Corporation’s ability to meet the needs of businesses, community groups, and individuals seeking an off-site space for training, board meetings, interviews, and working remotely in the Business Center conference room,” said Melissa Waldner, Executive Director of Webster Area Development Corporation (WADC). Along with the grant comes the opportunity to live stream Power Hour presentations from Aberdeen. These 60-minute learning opportunities have featured a wide range of topics like business planning, marketing, financials, human resources, professionalism and more since the Power Hour program began in January 2017. “Power Hours give our current business professionals and future entrepreneurs an opportunity to learn important information and network with others,” said Jill Vinning, Director of Training and Educational Programs at Aberdeen Development Corporation. 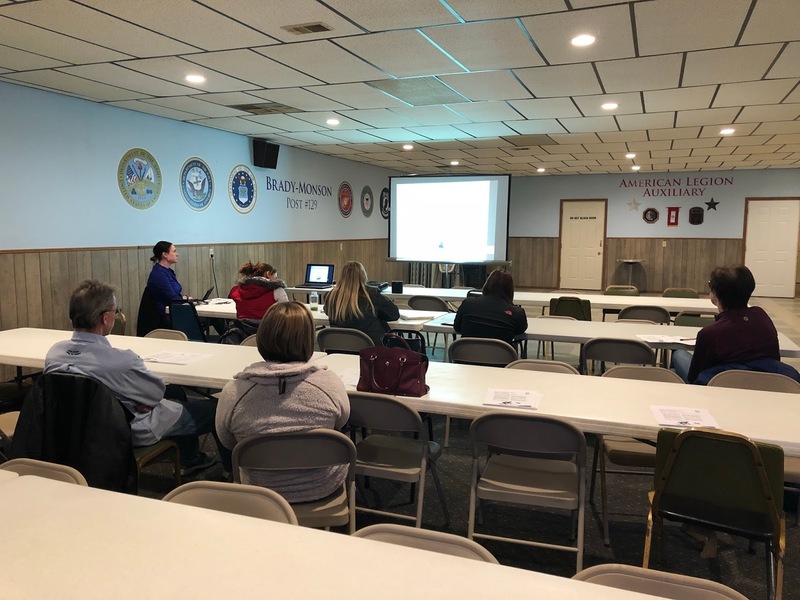 WADC hosted its first Power Hour, “Expand Your Workforce” on February 28 with eight attendees from across the Day County area. Representing Tiffany Langer, a representative of The Connection and South Dakota Retailers Association, provided special insight and answered questions. By 2012, WADC’s first tenant, GROW South Dakota, was settled into the office, and the American Legion Post 40 baseball team was thrilled to have an indoor batting area. A few cold storage renters helped with the utility bills. In 2016, WADC renovated a portion of the building to house the field office for Big Stone South to Ellendale (BSSE) transmission line construction project. By then, the Legion baseball team was ready to build a new indoor batting facility at Bob Wiley Baseball Complex. Last year, WADC collaborated with Webster Area School, Waubay School, and several industry partners to expand career and technical education at the Business Center. We also renovated a studio and office space for Tailfeather Photography. Earlier in February, Webster Area Chamber of Commerce moved in. This organization now operates out of the office space formerly held by GROW South Dakota, which moved to Main Street last summer when a second staff member was hired. The new equipment was installed in the conference room in February as well, thanks to the regional partnership with Advantage South Dakota. “WADC is proud to be a part of Advantage South Dakota and we are grateful to NorthWestern Energy and all of the communities for being partners in this network,” Waldner said. Advantage South Dakota was formed in 2010 by NorthWestern Energy and a group of economic development organizations in the James River Valley. Its goal is to enhance the economic vitality of the region through collaboration and promotion of positive outcomes that can be realized by relocating and/or expanding in this area. Current partners include Webster/Day County, Yankton, Wagner, Redfield, Mitchell, Milbank/Grant County, Madison, Huron, Freeman, DeSmet, Chamberlain, and Aberdeen. 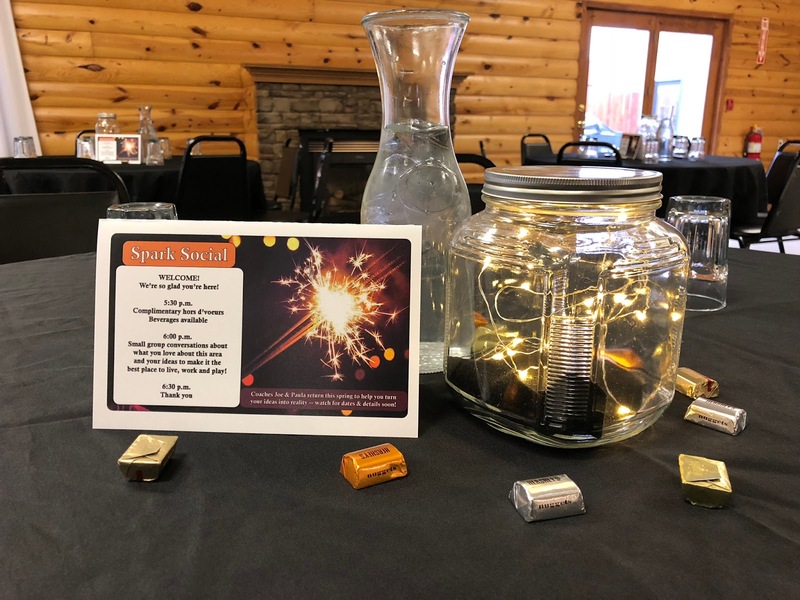 To learn more about upcoming Power Hours, the conference room or Advantage South Dakota, contact Melissa Waldner, WADC’s Executive Director, call 605-345-3159, email, or visit Room 110 in the Day County Courthouse. Kicking off 2018 with sparks! We were glad to see some new faces and many regular attendees join us on Jan. 10 for the Spark Social & Annual Meeting! 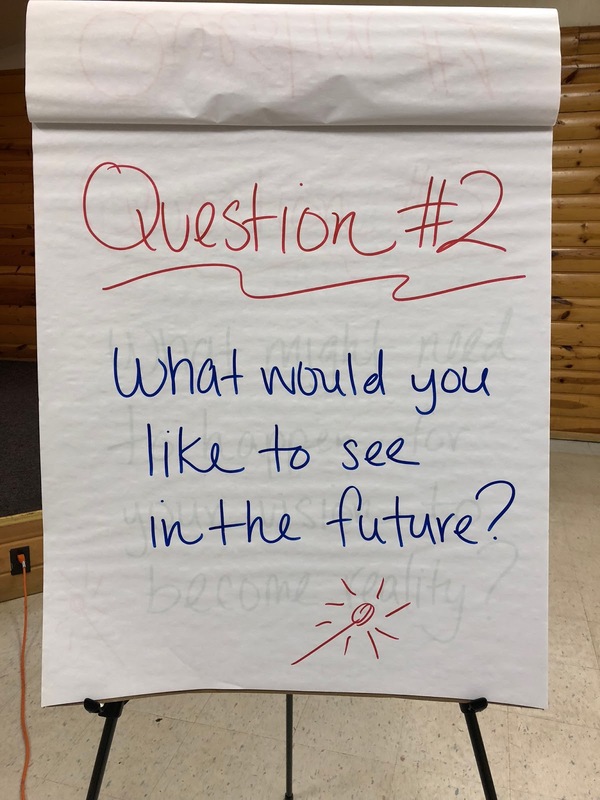 The new format was well-received, featuring a 30-minute visioning session called the Spark Social. 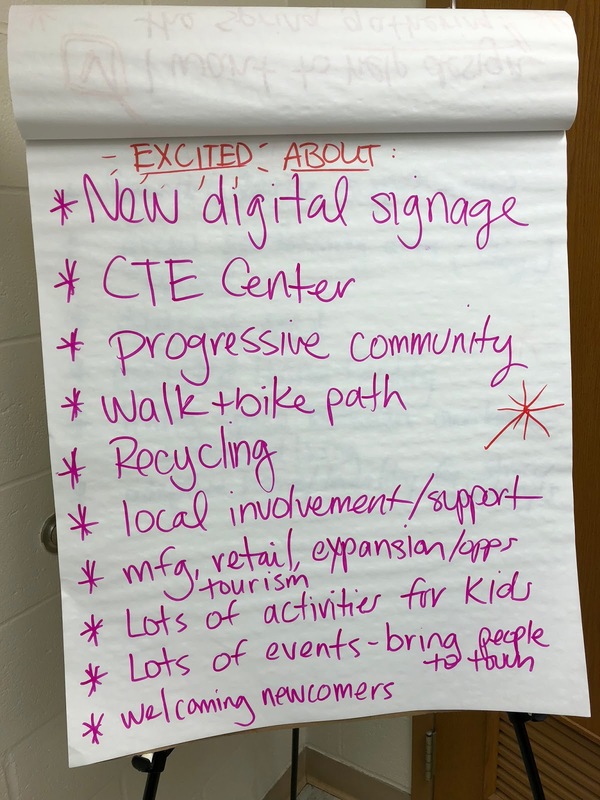 Several new ideas were mentioned as well as others to be celebrated. 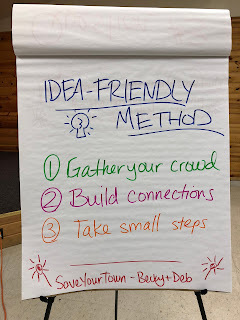 Attendees also heard about the Idea-Friendly Method which can help turn ideas into reality. 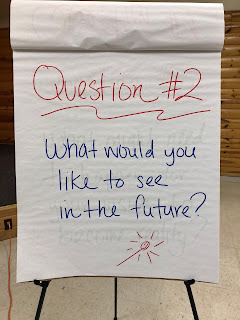 Stay tuned for more details on a spring gathering with community coaches Joe & Paula to help you create the future you want for the Webster Area! Three board members were elected to second terms during the business meeting: Dave Hahler, Tim Mammenga, and Tom Wagner. Annual business was attended to by Tom Sannes (President), Todd Garry (Secretary/Treasurer) and Melissa Waldner (Executive Director). 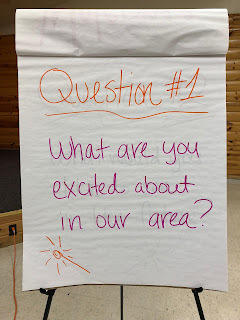 Board and staff welcome ideas and questions - contact us. The Year in Review slideshow is included below. Reach out to us with questions.